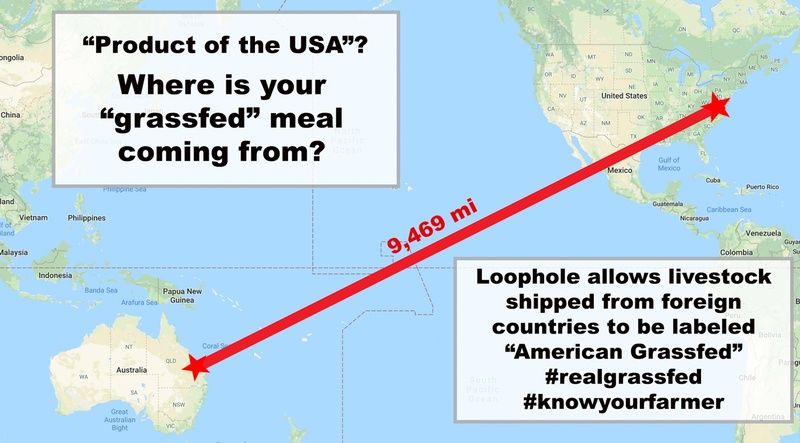 From What Country Are You Buying Your Beef? “James is very dependable. He always comes to work, even if he doesn’t feel well, and is always in a good mood. Not only does he do his job but he is always willing to help the other hog crew”, states Olivier Deslandes, assistant hog production manager, and supervisor for the Iberian hog team. Our prized 100% Iberico product line introduces a new item- CRACKLIN'S. A southern favorite, cracklings are the crispy trimmings that rise to the top of rendered pork lard. This delicious garnish is a southern tradition that brings rich flavor to any dish. We are proud to bring our complex, sweet, nutty Iberico flavor to the southern cracklin' scene. 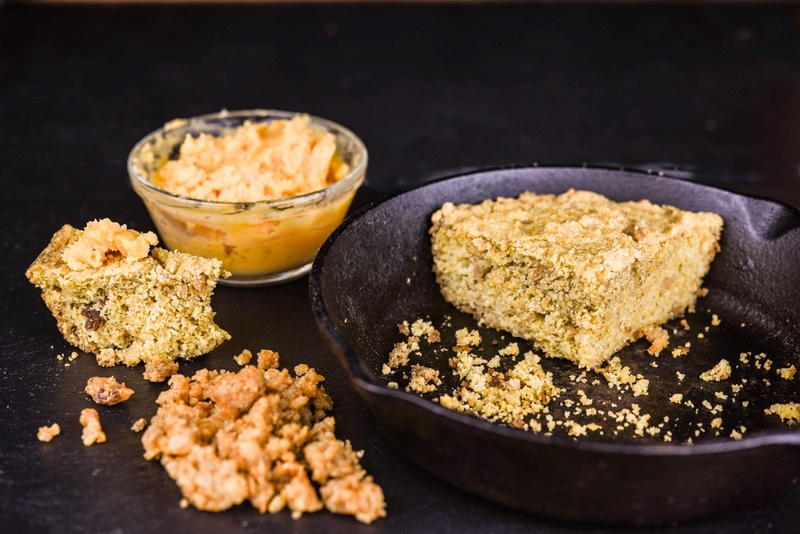 Below, Chef Ban Stewart shares his favorite Crackling Cornbread Recipe with a Honey Hot Sauce Butter. 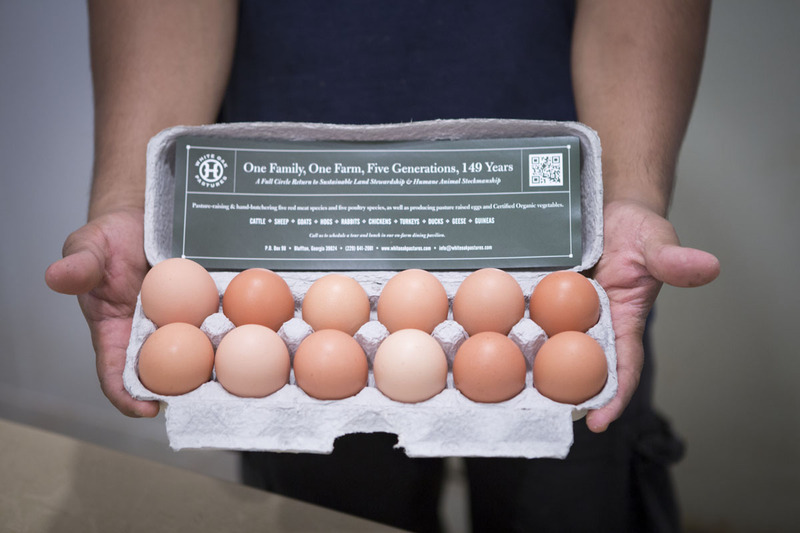 Look for White Oak Pastures Eggs in your local Whole Foods Market in the Atlanta area! 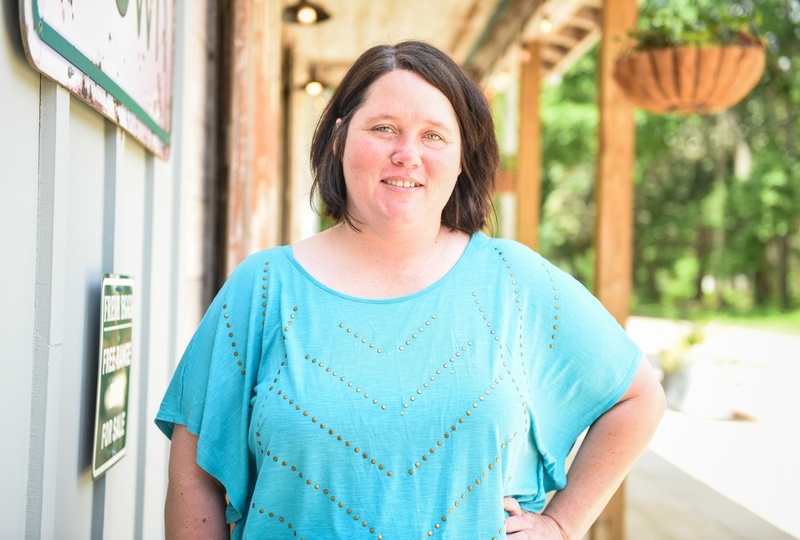 Meet Amanda Johnson, who lives just a hop, skip, and a jump away from the farm, and is taking care of our customers, dinner guests, and lodgers. Our farm has had a baby boom this last year! We pride ourselves on rural revival. 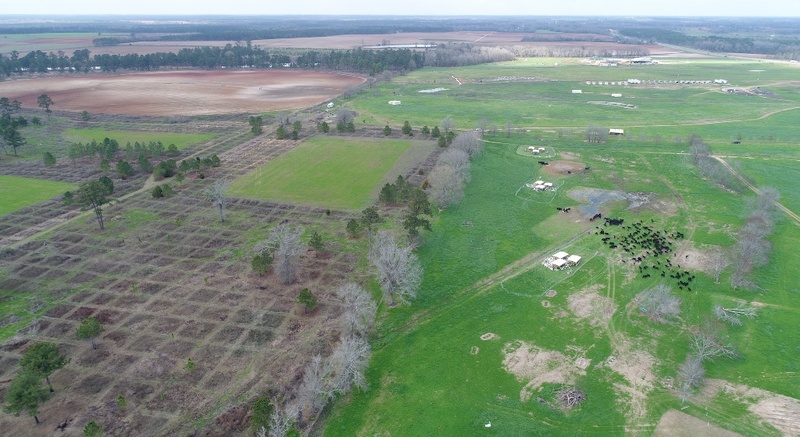 White Oak Pastures' regenerative farm model contributes to rural revival in South Georgia through job creation. This is a main tenant of our farm's mission. We are so proud to welcome a new generation to the families supported by White Oak Pastures. We all talk about our place of work as a "family". 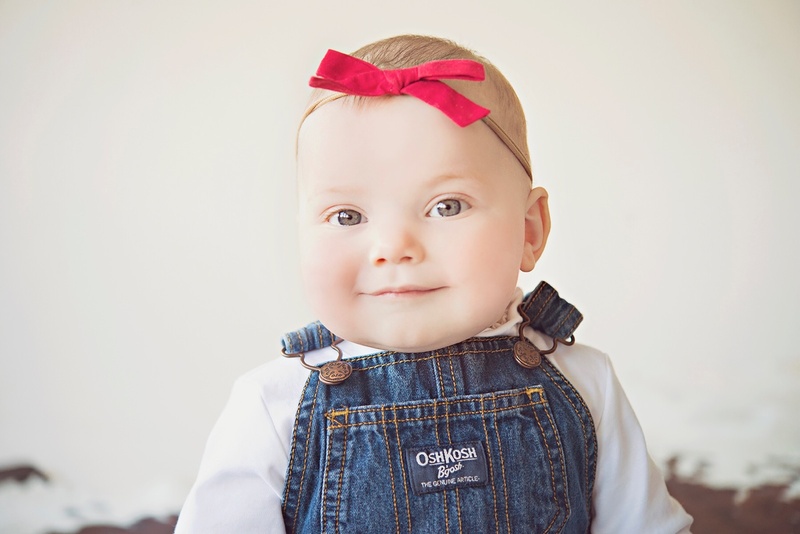 We welcome these little ones to our "farm-ily" with open arms. Trying to round up Walt Holmes and Diquion Jones for an interview was as difficult as their description of rounding up cattle. Actually, I think I had a harder time than they do when it comes to rounding up. No surprise there, as these two are the only two men herding our cattle with John Benoit, the Director of all the livestock at White Oak Pastures. 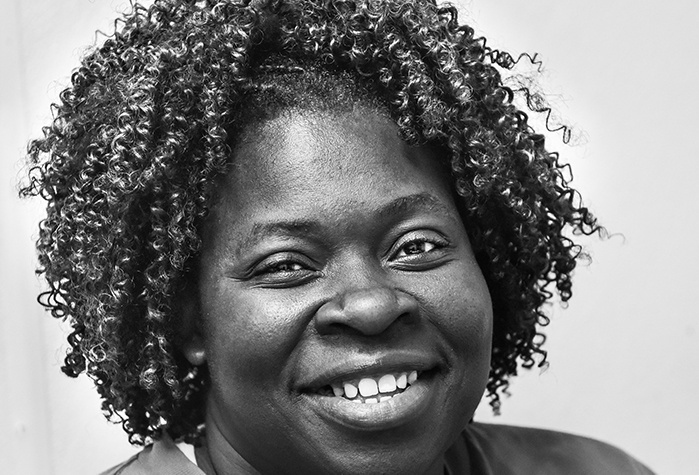 Helaine works in poultry processing and has recently been given a supervisory role by Lisa Brown. She is one of our Poultry Plant Mentors! 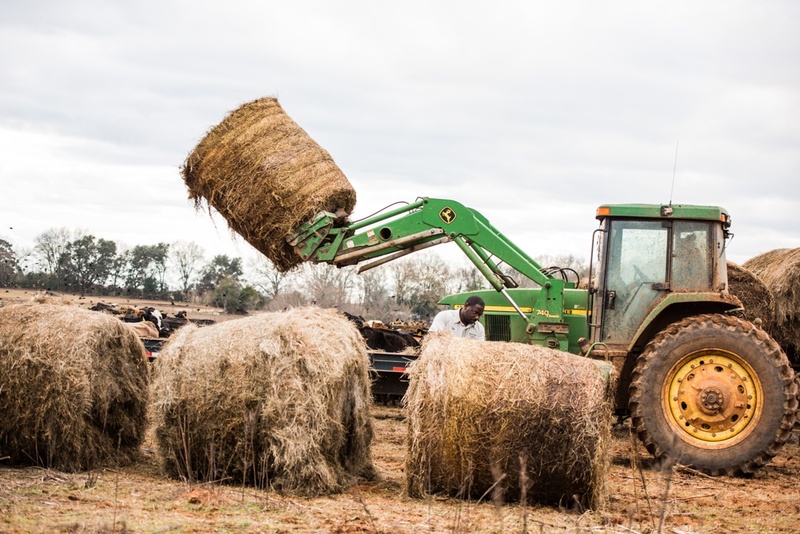 After driving an hour and twenty minutes one way to Phenix City, AL from Cuthbert, GA, for four years to work in a poultry plant, Helaine Gudes wound her way to White Oak Pastures and closer to home. March 2, 2018 will mark Helaine’s second year with us here on the farm. Continue reading to understand what is truly the most important thing to Helaine and why White Oak Pastures is the perfect place for her to be! The above aerial image shows three neighboring forms of land use in south Georgia. Below, Will Harris explains what we are looking at in this image. We are proud of our regenerative land management. 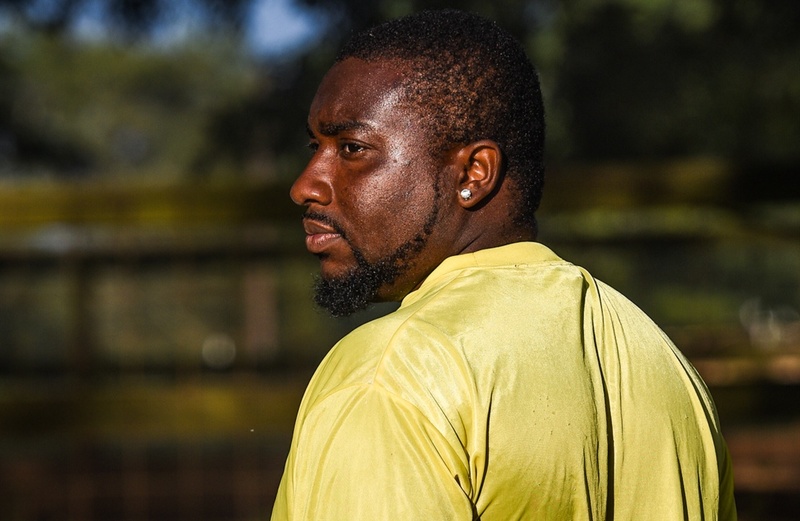 Cecil Burns describes working at White Oak Pastures as “fun”, which should not surprise anyone who has the pleasure of making his acquaintance. I’ve never seen Cecil when he didn’t have a smile on his face, teasing and laughing with other employees, but always working hard while doing so. He is always so helpful and thoughtful to others, and he certainly makes dining at the Pavilion a pleasure!